With the building of the DC-1 of 1933, Douglas knew that it hada world beater. TWA, the first airline to order the new Douglas airliner, likedwhat it saw and ordered 20 of a slightly modified version that had a stretchedfuselage for 14 passengers and slightly more powerful Wright Cyclone engines.The first DC-2 flew in April of 1934 and by July was in paying passenger serviceover TWA's longer routes. The traveling public, at that time mostly people ofmore than modest incomes, was thrilled with the new aircraft. At last acomfortable, relatively quiet and spacious airliner. No more cacophonous FordTri-Motors! It wasn't long before other airlines rushed to buy DC-2s. Eventhe military was interested and purchased several for both the Army, Navy andMarines as transports. Before production switched to the even larger DC-3, over200 DC-2s were built. During WWII, many civil airliners were impressed intoservice by the warring powers. The Navy/Marines called them R2Ds and the ArmyC-32s. Some were refitted with military spec engines. The DC-2 was also flown bythe Finns, Spanish, Australians and even the Germans, who got theirs fromLufthansa and some of the countries they conquered. Like the DC-3 that followed,the DC-2 continued to soldier on after the war. I'm not sure if any are stillflying, but would not be surprised if at least one isn't still taking to theair. Typicalof MPM, this kit is is molded in a medium grey plastic with petite engravedpanel lines as you can see in the image to the left. This kit has someinteresting differences with the Ki-21 kitpreviewed earlier. First of all, it has no resin parts. All of the interiorparts are in injected plastic and while not super detailed, is adequate for themodel. Little can be seen in the cockpit or cabin anyway. 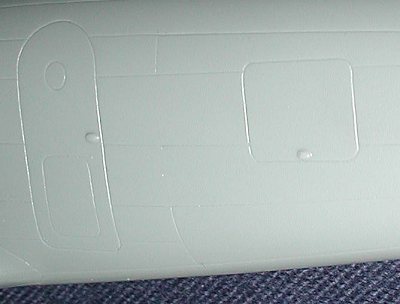 Secondly, there isalmost no flash and the edges of the plastic are not as rough as on the Ki-21kit. There are also no large ejector towers on the inside of the larger partslike the wing, tailplanes, fin and fuselage. Most unusual. It is as if MPM hasused a different injection molding machine for the two kits, with this onegetting the better of the two! MPM continues the 'no vacform' policy for theclear bits with this model. Thanks from all of us. The clear bits look a bithazy, which is fine as there really is not much to see on the inside. In thecabin, no seats are offered, just a cargo floor. Perhaps a later release as anairliner will include some seats for the cabin. MPM has the dreaded individualprop blades for this kit. Fitting those on the tiny prop hub will not be a veryeasy experience. 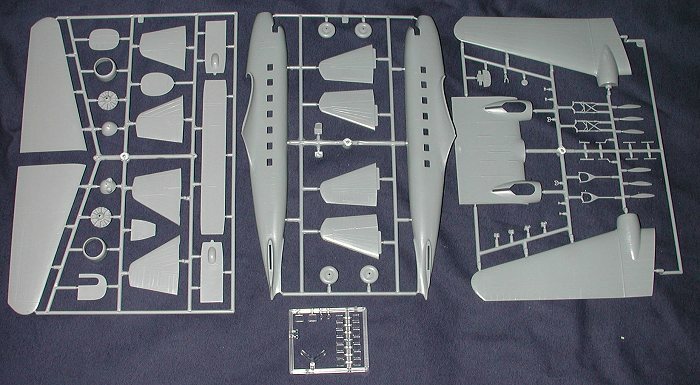 I'll be heading for the Aeroclub parts bin for replacementprops for this kit when I build it. The kit also offers two different noses; onewith prominent twin landing lights for use with this kit and another very plainone for another boxing. Also additional is a broader chord fin that is not forthis particular kit. One can see that other variants will be done at a latertime. MPM never misses a chance at multiple boxings when it is possible! The instructions are the standard farefor MPM, offering the construction steps as an exploded view. More than adequatefor building the kit. MPM has also continued the lack of a color referencechart, relying only on Humbrol numbers for all the colors except for theexternal schemes. As I said in the MPM Ki-21 review, this is notacceptable as many of us do not have a cross reference chart or cannot getHumbrol paints. The kit offers four different decal options and a HUGEdecal sheet. 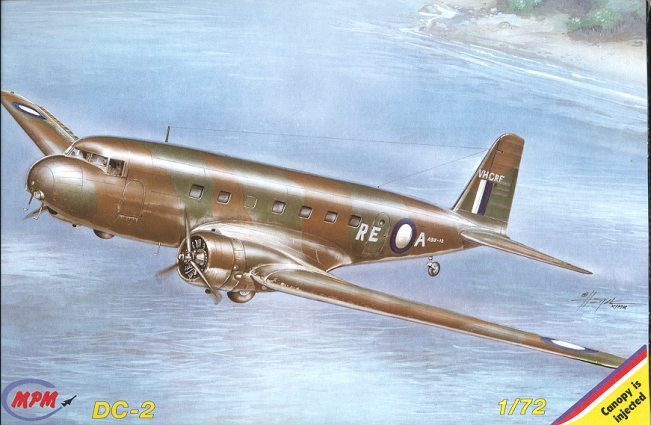 The first is the box art aircraft of 36 Sq RAAF in Foliage Greenand Dark Earth over Sky Blue. This is undoubtedly an impressed airliner. Thenext two are basically identical except for the serial and branch of servicemarking. These R2D-1s are in overall aluminum (could be paint or natural metal,check any references you have). The final scheme is a very interesting airlinerfrom L.A.P.E. during the Spanish Civil War. It is marked in Nationalist markingswith the large red band on wings and fuselage. It is also camouflaged in sandwith green splotches upper with pale blue lower surfaces. Most of the decalsheet is for these markings. Now, it is worth $45.00? Tough question. Itreally depends on how much you want one. I'm sure that you can, as did I, findit for less than that if you do some hunting around. It will definitely buildinto a nice looking model and something a bit different from the usual. If you would like your product reviewed fairly and fairly quickly by asite that averages over 2,200 visits a day, please contactme or see other details in the Note toContributors.